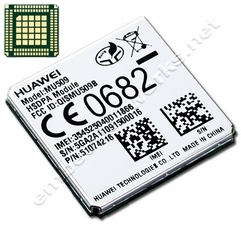 The Huawei MU509 is a dual-band UMTS/HSDPA LGA surface-mount wireless module supporting downlink data rates up to 3.6Mbps and uplink data rates up to 384kbps. 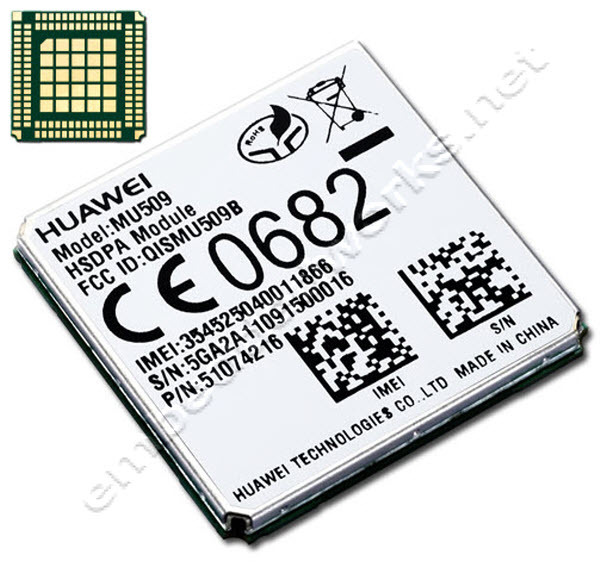 MU509-C supports UMTS/HSDPA 850/1900 Mhz and is suited for North and South America. The module is PTCRB certified, so it is capable on the US T-mobile network.